This belt assembly, 60 inch x 2 inch is used on 3M(TM) Breathe Easy(TM) Systems. It is used to hold the turbo unit in place. It is a web material with a plastic buckle. Jaco Aerospace and Industrial is your one stop resource for 3M(TM) Belt Assembly 520-02-90R01, 60 in x 2 in 1/Case and all of your 3M Products, Tapes, aerospace and industrial needs. 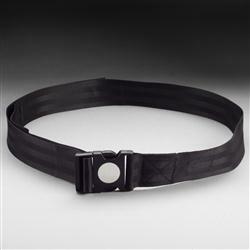 SKU Marketplace Product Description: This belt assembly, 60 inch x 2 inch is used on 3M(TM) Breathe Easy(TM) Systems. It is used to hold the turbo unit in place. It is a web material with a plastic buckle.